We have so many special things to announce, and AMAZING people to celebrate with. 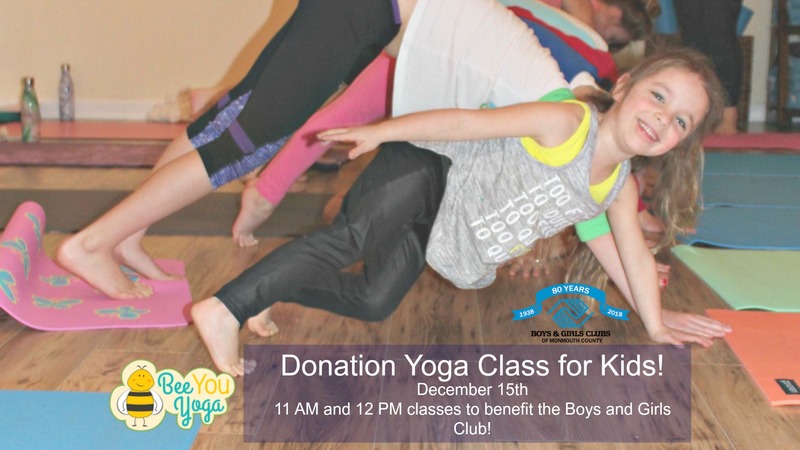 First and foremost – JOIN US with your little yogis in Manasquan on December 15th for an ALL DONATION kids practice at Bee You Yoga! We are collecting art supplies for the Boys and Girls Club – and there are only 40 spots available. 20 kids for the 11 AM class, 20 kids for 12 PM class. That’s it! So book yours now, right HERE. Ages 4 and up! Are you saying to yourself “Gee, I want to come, but I have NOTHING to do for those 45 minutes”? We get it, and so does Danielle at Xen Strength – located right across the street from Bee You. Because she is the best, Danielle decided to run a donation practice at 11 AM for all the moms and dads seeking to get their sweat on for a good cause too! 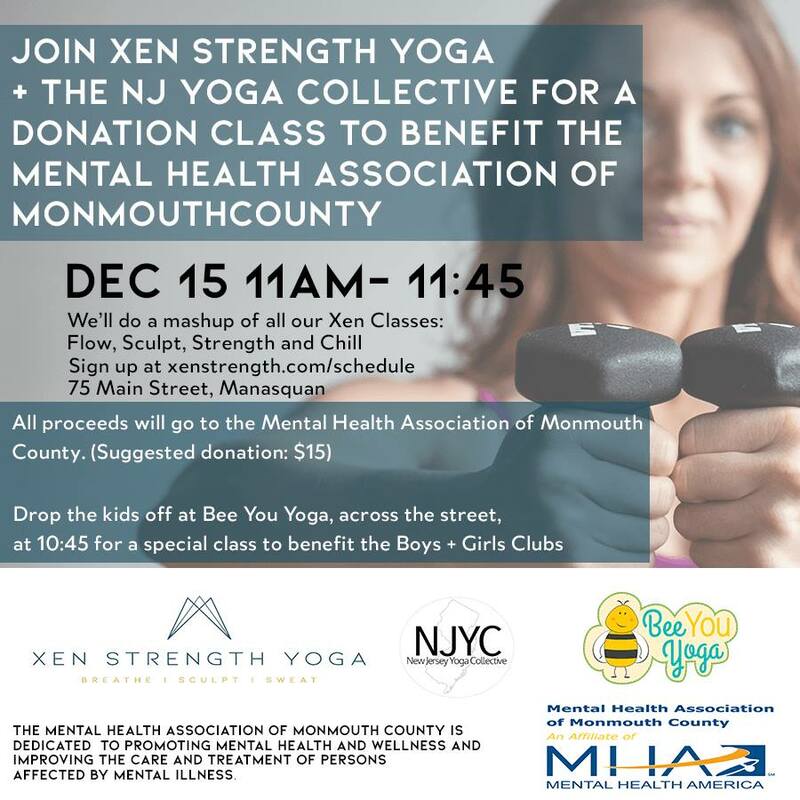 Xen Strength is taking donations for the Mental Health Association of Monmouth County. Sign up for that 11 AM practice HERE and be prepared to drop off your children at Bee You at 10:45 AM. And of course there is MORE. December 30th: Move, Meditate, and MANIFEST for 2019 with NJYC and MettaMade at the Ocean Place Hotel in Long Branch! Your ticket includes yoga, our incredible panel discussion on creating your best life ever, meditation, one cocktail, and a shopping extravaganza with our vendors. Donation Classes with the NJYC and the Top 10 Places to Take YOUR Asana This Week!